Plugging a Gap – Le Bouchon first impressions! Le Bouchon only opened on 10 May but already feels well established (and well loved!). As always, we Radical’s have sacrificed our time, blood and treasure (is this too much, ed?) to investigate and have been in three times so far. It is a great little place – cosy as the Council unfortunately opposed the use of the upstairs as a bar area citing the neighbours. On our first trip on opening weekend there was a steady trade of people and those popping their heads in with interest. That bode well and on our following two visits on an afternoon and evening the place was consistently busy. Some people had to be turned away (although owner/manager JP did offer to make reservations for later) and others were content to patiently wait outside! Inside the place has an authentic wine cellar feel without being twee. The brickwork is exposed, the wood ceiling is arched, and the decor is simple. At the back there is something akin to a snug by the (non-working, feature) fireplace. There is a mix of tables for two and four plus benches with high stools. Prized spots by the window, although we Radicals have found ourselves opting for the table by the bar – great for people-watching! There are also tables outside and the front windows can be fully opened. JP has tried to provide as many wines as possible by the glass and carafe but the bottle list is more extensive. Wines are reasonably priced with (well filled) glasses from about £6 upwards, carafe’s from the £15 mark and bottles anywhere from £20 to £100. The Radicals have worked through many of the wines by the glass and most customers seemed to be in for a glass or two or a carafe which allows the casual drinker to mix things up a bit. But bottles were to be seen on tables too. And the wine is good so if you find a favourite make a note and consider a bottle on the next visit! We are no wine buffs but have taken a liking to a few. Whites: Picpoul de Pinet, Languedoc, IGP Pays d’Hérault (Viognier), Pinot grigio/Pinot nero, Veneto. Reds: St Chinian, Cramele Recas, Calusari, Viile Timisulu (Pinot noir from Romania! ), and the Sangiovese from Tuscany. Add in something from the charcuterie and/or the cheese board – either set (£15 for 5 pieces) or make your own (£3 a piece) – and it is thoroughly civilised. And all the bread comes from the local Boulangerie Jade. We expect that continued success will establish Le Bouchon in the village and there are opportunities for it to be enhanced, such as through turning the upstairs room (previously used by Curry Garden as restaurant seating) into a tasting room for special events. As I believe ‘plug’ is the English translation. PPS: Bouchon is ‘cork’, you’re fired, Ed. So, what can we expect from Raffles the restaurant? 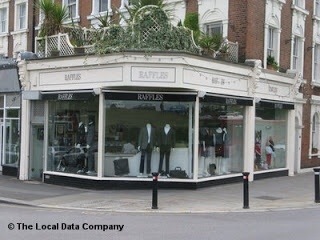 Now here’s an interesting thing – an application for a lawful development use at Radical favourite outfitter, Raffles. The application is to change use to a restaurant. On the one hand this, if it goes ahead, is a bit of a shame as Raffles is a great option for the smart casual outfit for a weekend away. That said, we do now have the excellent Simon Carter. And, if nothing else, we Radicals are pro the village evolving in a way that meets changing demands: it would be just the latest in a large number of recent changes as we have documented here and here, the bulk of which have been for the better in our opinion. So what do people think? @GoCaineandable – any updates on plans? Oh, and while we’re at it, anyone got any intel on what will be taking the place of India Jane? @IndiaJaneLondon – anything you can tell us? Ever noticed the fox family on the railway sidings between Lewisham and Blackheath? Love them or hate them, foxes seem to generate more than their fair share of controversy. 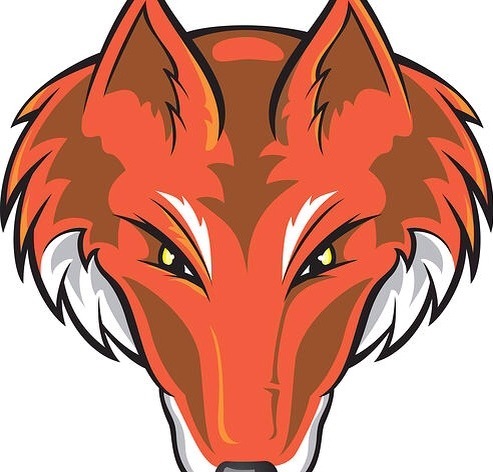 With that in mind, what better way to spend an evening in June than to pop along to the Old Bakehouse Theatre in Blackheath and see the Capital Theatre Company’s production of Dawn King’s play, ‘Foxfinder’? Looks like an interesting play and one that it’s great to see being shown on our doorstep. What with the Old Bakehouse, the Conservatoire and the Halls, the village really is well served by all things cultural. Election results for Lewisham wards eventually came in the early hours of the morning. There will no doubt be a few tired/sore heads this morning! The full results are on the Lewisham website. Firstly our thanks to all the local representatives who have worked for the area since the last election (and before), commiserations to those who lost their seats, and congratulations to the new batch of councillors. One gripe from us is the late results. Events didn’t help as there was a blackout at the Blackheath Army Centre where the count was taking place. Blackheath (re-elected) Councillor Kevin Bonavia tells us that larger venues were not available which slowed the count further. We don’t think it necessary to rush to the count immediately after polls closed but the council should consider how to improve the process – with short media attention spans and info on demand with social media, declaring in the early hours of Saturday is one way not to galvanise voters. The headlines are that Sir Steve Bullock was re-elected Mayor (50.4%), with the Conservatives second (11.1%) and the Greens (10%) almost pushing the Liberal Democrats (10.02%) to fourth. Labour gained 14 councillors at the expense of Conservative and Lib Dem representation in Lewisham (losing 2 and 12 seats respectively). The Greens retained their seat in Brockley. Turnout was in line with the national average at 37%. For our bailiwick changes took place in Blackheath with Amanda de Ryke’s retaining her seat representing Lab after switching from Lib Dems mid-term in 2013; Pauline beck and Sven Griesenbeck for the Lib Dems lost to Lab’s Simon Hooks​ and Pat Raven in Lee Green​; Joani Reid is the new Lab councillor in Lewisham Central. Our liberal tendencies are wary of a council so heavily dominated by one party. This places great responsibility on the elected members to act at all times in the interests of their wards and not fall into groupthink or put tribal politics first. Voters will not forgive a council that trades representation for party political posturing on either local or national issues (especially as we approach a General Election). Inevitably this will lead to greater scrutiny from outside (blogs like ours, the media) and for the council accountability is key. It needs to work in an open and transparent way and not ‘pull up the drawbridge’ at the first sign of criticism. We expect also that once the results have sunk in parties now without representation will still remain active and work to ensure the council is held to account. Remember the result was based on a low turnout (unfortunately the norm for local elections) and in 2010, with a higher turnout of 63%, due to the General Election , the results provided a different picture. It is not for we Radicals to pick sides or draw political lessons from the result; that is for the politicians. We do caution about focusing on one or another issue, either local or national, to explain the results or to draw wide-ranging conclusions. It is now for the Mayor and councillors to knuckle down and address the issues that face the area over the next four years and for the Revolt to keep a watchful eye on our elected members. The good Burg(h)ers of Blackheath? 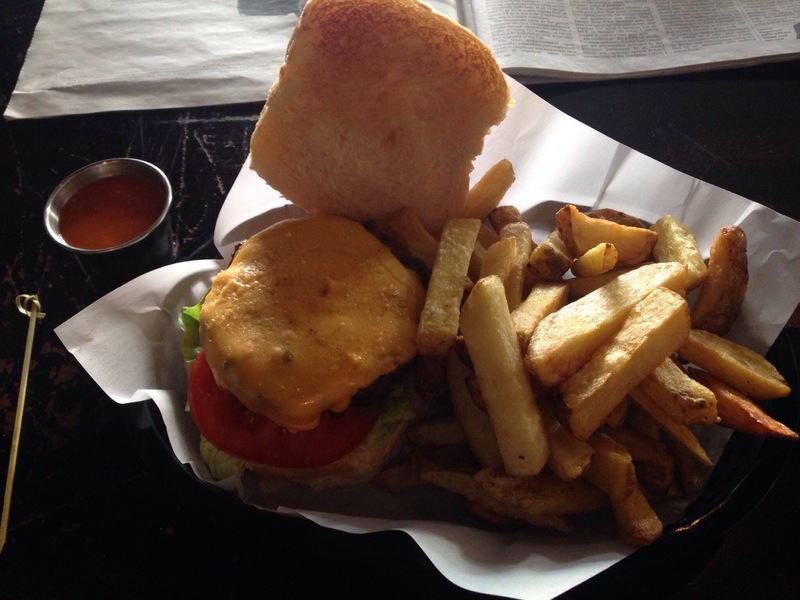 A quick post to report on a trip a few Saturday’s ago to The Railway to check out Ruby Jean’s Diner and its much hyped burgers. Now, the Radicals are mahoosive (translation ‘rather big’) fans of all things USA, including its cuisine. Indeed, we enjoyed a memorable pre-game burger and beer with a bunch of Giants fans on the docks at San Francisco before witnessing their team get thrashed (at baseball in case you didn’t know). So it was with some anticipation that this Radical ventured to the Railway for a slice of Americana in the heart of the village. Sadly the reality did not quite match expectations. Though perfectly respectable, the burger was nothing special. A tad bland and lacking in juiciness, with some under-toasted baps and salad. The chips (note, not ‘fries’) were though very nice and there were lots of them. And the system of ‘making’ your own burger is a lot of fun, with near endless opportunities for combinations of sauces and extras. It’s probably a good sign that Ruby Jean’s has chosen to locate in one of the Blackheah pubs. But overall, for this Radicsl at least, it’s a far cry from the real deal back on the ‘Frisco Bay.